Like zombie Viserion effortlessly destroying the Wall, Game of Thrones continues to smash through ratings records with ease. Even before Sunday’s finale gets figured in, HBO calculates that episodes of the show’s seventh season are averaging a best-ever 30.6 million viewers across multiple platforms. That’s nearly 8 million viewers (and a whopping 35 percent) ahead of the same point last season, when the network estimated the show’s pre-finale audience at 23.3 million viewers. After the season-six finale, that number ultimately rose another 11 percent, to 26 million viewers. Assuming the same sort of growth — we’ll update this post with same-day numbers for “The Dragon and the Wolf” from Nielsen when they arrive — it seems a safe bet that season seven will end up with an average gross audience north of 33 million viewers. Update: Sunday’s finale, as expected, broke another record. Per preliminary Nielsen data, 12.1 million viewers watched the 9 p.m. telecast of Thrones, 13 percent above the show’s previous high-water mark of 10.7 million viewers (established a mere two weeks ago). 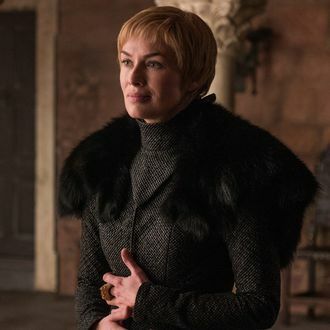 “The Dragon and the Wolf” finished 36 percent above the final episode of season six (8.9 million) and 19 percent ahead of this summer’s season premiere (10.1 million). Counting one encore showing and early streaming numbers, HBO says 16.5 million people had watched the finale as of early this morning.